Multi-country payroll software manages payroll processing activities across multiple countries. These solutions are used to create and implement payroll processing rules for numerous countries. Multi-country payroll also helps companies comply with internal policies and national or international regulations regarding payroll. HR departments of multinational companies usually implement multi-country payroll software to improve the accuracy of payroll across the company. Multi-country payroll can be deployed as part of a human capital management suite or HR management suite, or as a standalone product. Multi-country payroll software integrates with financial solutions such as accounting software or ERP systems, as well as with HR management suites. Integration with local payroll software may also be required when multi-country payroll is not implemented in all locations. Multi-Country Payroll reviews by real, verified users. Find unbiased ratings on user satisfaction, features, and price based on the most reviews available anywhere. Gives companies of every size the tools to help their people thrive. From payroll, benefits and regulatory compliance to talent management and analytics, we help our clients succeed. Blue Marble is the leader in cloud-based global payroll and consulting services to manage international operations in 145+ countries. Our integrated solutions for payroll, HR, accounting and tax services ensure compliance and simplify global operations. Using innovative cloud-based technology with aggregated monthly reporting, you have real-time access to payroll costs across all countries and currencies. Blue Marble created a unique, hybrid service model with a U.S.-based team and in-country experts in each country to ensure compliance with local laws and regulations. We make it easy to simplify international operations so you can focus on growing your business. SAP SuccessFactors Employee Central Payroll provides a combination of proven technology, embedded localization, and service delivery in a solution that represents the next generation of payroll process automation. CloudPlay is a platform that integrate payroll across countries, providing consistent reporting and ensuring compliance with local laws, it unify payroll data, processes and analytics in a global scale. CorePay, CoreHR's award-winning cloud Payroll software, is a powerful and easy-to-use tool that transforms Payroll into a simple 3-step process. From one user-friendly dashboard, you can manage all pay groups across your organisation. 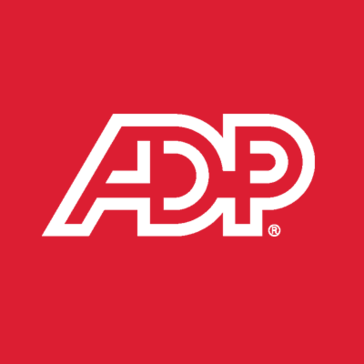 ADP Streamline provides your multinational business with powerful web-based technology on a reliable platform that gives you control. And with local experts on the ground where you operate, you can feel confident you're meeting all the different compliance demands around the world. CelergoGlobalConnect offers an empowering customer experience because it boils the process down to a few uniform steps to be completed, with system prompts and notifications to let you know when it's time to submit your changes, view and approve your payroll registers and fund your payroll. Global payroll manager (GPM) is the complete tool every payroll department needs to manage and control global payroll operations efficiently. Integrated International Payroll (iiPay) is a market leader in cloud-based global payroll solutions on the strength of technology that solves the global payroll gap. iiPay sharply reduces dependence on in-country payroll processors; and its gross-to-net engine provides a clean, comprehensive view into an organization’s global payroll landscape. iiPay has been implemented by more than 270 companies in more than 150 countries, making them more efficient, compliant and adaptable with improved employee productivity and satisfaction. Meta4 cloud-based Global HR & Talent Management solutions deliver comprehensive HCM to meet such global and local needs in a secure SaaS environment. Papaya Global is a SaaS platform that connects corporate clients with global suppliers through technology and automated processes, and eliminates the need for global MSP's and aggregators. Payslip is a Global Payroll Management Software solution that provides centralized process control, systemized data protection, and vendor management to international employers. Global Payroll on OverseasConnect is Radius' comprehensive global payroll solution. It solves the complexities of multinational payroll with an easy-to-use interface and integration with accounting, HR and employee expense applications. Youforce gives your managers and employees insight into and control over their HR affairs. SD Worx provides technology and services that supports the entire employee life cycle, including payroll, HR and workforce management. With over 70 yearsÔøΩ experience and the best people in the industry, we help customers reduce costs, improve compliance and increase profitability. Hi there! Can I help you find the best Multi-Country Payroll solutions?